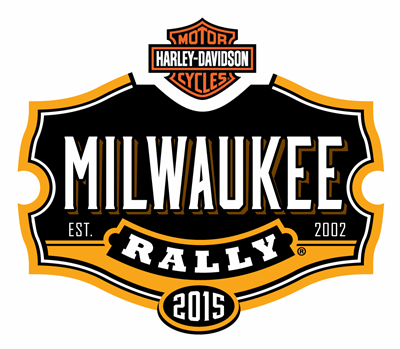 The Milwaukee Rally Returns for 2015 | Hupy and Abraham, S.C. The rumbling sounds of motorcycles are about to overtake the city. This year, Hupy and Abraham, S.C. is proud to return as a main sponsor of the 2015 Milwaukee Rally, as Harley-Davidson riders and supporters alike assemble in Milwaukee for the largest free motorcycle rally in the Midwest. The rally will feature events spanning across five main area dealerships and the Harley-Davidson Museum. Attendees will be treated to live music, food and vendors for four days over the Labor Day weekend. Hupy and Abraham will also sponsor the popular “Run for Cash” $5,000 cash giveaway again this year. To participate, riders are given a special passport that must be stamped at each of the Milwaukee Rally locations. After all five stamps are received; riders will be eligible for a drawing where the winners are randomly selected. Participants in the Run for Cash will also receive a 2015 Milwaukee Rally collector coin. View the official rules here. We encourage you to stop by and get one of our “Watch for Motorcycles” T-shirts to help remind motorists to be aware of motorcycle safety. The street team will also provide other rider-friendly safety and awareness materials like “Watch for Motorcycles” bumper stickers, nail files, kickstand coasters and information about current rider laws and legislation! We hope that all the Rally attendees have a wonderful time with all the festivities, while also keeping safety in mind. There will be lots of motorists and pedestrians around town, so it will be important for everyone to be conscious and respectful of all the activity on the road. If you’re unable to attend any of the Rally events, you can still get your free “Watch for Motorcycles” sticker here.